Home > News > Camera. Reinvented. Lily, a company pioneering easy-to-use, self-flying cameras, today debuted the Lily Camera, the world’s first throw-and-shoot that flies itself. 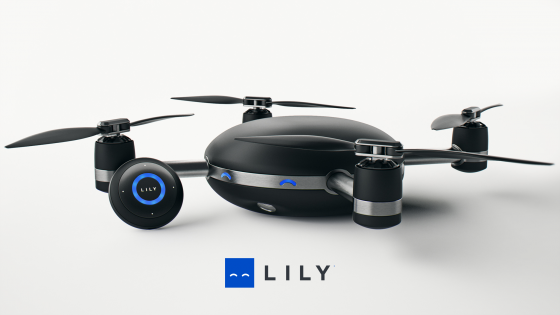 Initiated with a simple throw in the air, the Lily Camera automatically follows its owner, capturing stunning footage and high definition images while hovering in place or flying at speeds up to 25 mph. The camera, completely engineered for tough aerial and water environments, is built for outdoor action sports enthusiasts and for anyone who just wants a simple, fun way to record and share their everyday activities. Leveraging advanced computer vision algorithms and GPS, the Lily Camera intelligently tracks its owner, following every move. 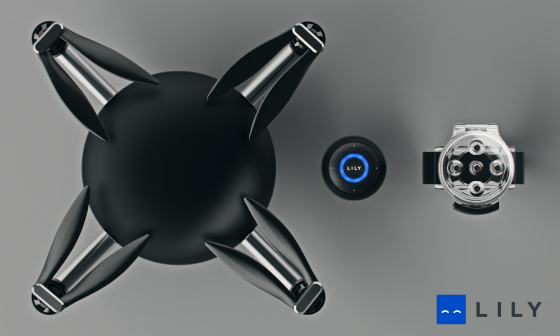 With autonomous flight, Lily expands creative shooting opportunities well beyond handheld and action cameras with a single point-of-view. The Lily Camera’s core technology is driven by proprietary computer vision algorithms. Lily constantly communicates with the owner’s tracking device which relays position, distance, and speed back to the built-in camera. 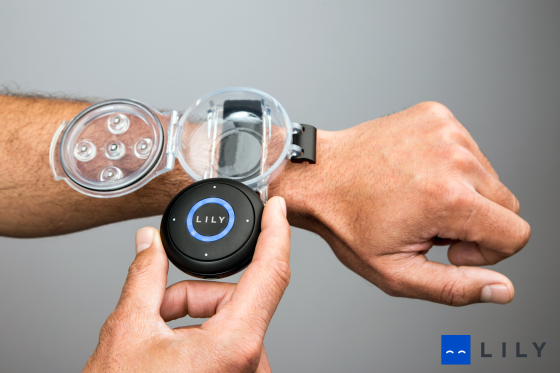 Lily recognizes the owner and improves tracking accuracy over time. This technology enables Lily to fly completely autonomously, always keeping its owner in the shot and delivering smooth footage. Lily is also programmable and can receive directions via the tracking device or the mobile app. The camera is able to follow, loop, zoom, fly out, hover, and more. Fully waterproof with a compact design, the Lily Camera is hardy enough to withstand challenging winds and water. “Home base” to Lily is the owner’s hand. Via the tracking device, the owner summons Lily to make a graceful palm landing. That same tracking device also enables audio recording, which is automatically synchronized with the camera’s footage, an option not offered on drones that carry a separate camera. Pre-orders for the Lily Camera begin today at $499 USD. Special pricing includes the camera and a wrist tracking device with waterproof case. Additional accessories such as propellers, cases, etc. will be available for purchase online. The product ships in February 2016 at $999. For more information and to pre-order Lily, head over to www.lily.camera.